All YBS participants will be issued a badge to identify themselves as participants to venue staff. These badges will need to be worn by participants at all times. Access to event venues will be restricted to those participants with the appropriate badge. Please download the registration template linked below and use this Excel file to submit your participant registration using the form. This form should be completed for each firm that will be attending the 2019 Youth Business Summit. Submission deadline is Monday, April 8, 2019. 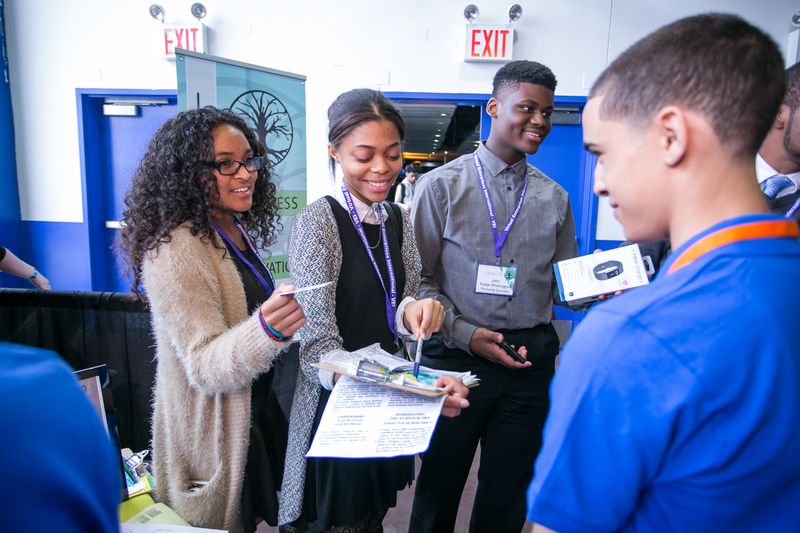 The 2019 Youth Business Summit features eight competitive opportunities for VE students. 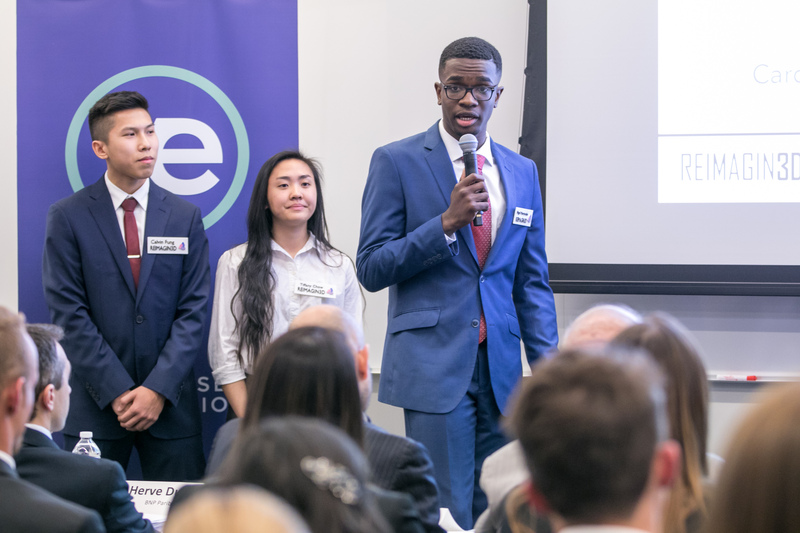 Competitions include the National Business Plan Competition, National Finance Competition, National Human Resources Competition, National Marketing Competition, Global Business Challenge, Best Booth Competition, Sales Materials Competition, and Sales Pitch Competition. Learn more here. Competition Results will be available after the 2019 Youth Business Summit on the Competition Results page. 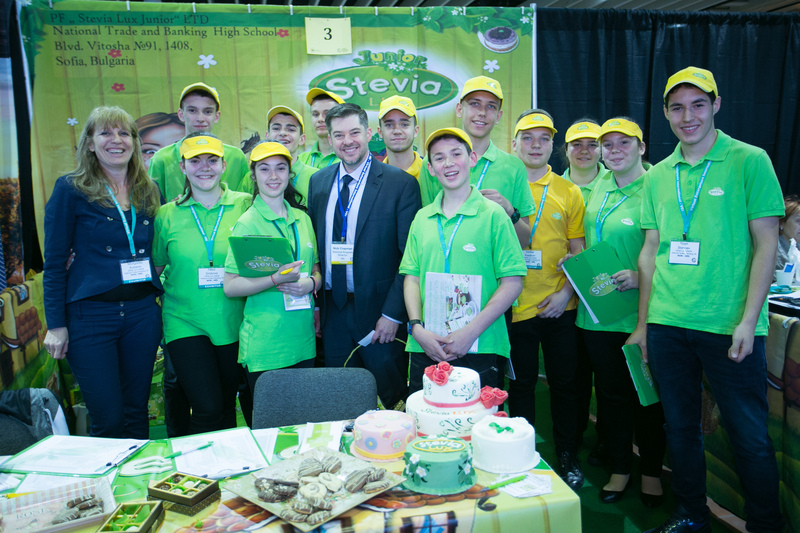 All International Trade Exhibition participants are automatically eligible for and entered into the Booth Design and Salesmanship competitions. Judges will stop by the trade show booths to score BOTH competitions. Rubrics can be found at the following path: Portal / Competitions & Rubrics / Live Competitions. If you have any questions about the Booth Design or Salesmanship competitions, please contact Gina Pol at gpol@veinternational.org. Each company is asked to sell their product(s) and/or service(s) at the International Trade Exhibition. Sales Pitch is the act of making a complete and successful sale and will be evaluated on various aspects as outlined below. All company sales representatives are invited to participate.Note that the judge who arrives to the booth to judge the competition will score the sales representative(s) who are present at that time. Each company is asked to design and build out a booth at the International Trade Exhibition. The trade show booth allows companies to highlight their product(s) and/or service(s) and to increase sales. All company employees can participate in booth construction and display at the trade show. (4) use of music not related to business, inappropriate music, or music that exceeds a professional and courteous volume. 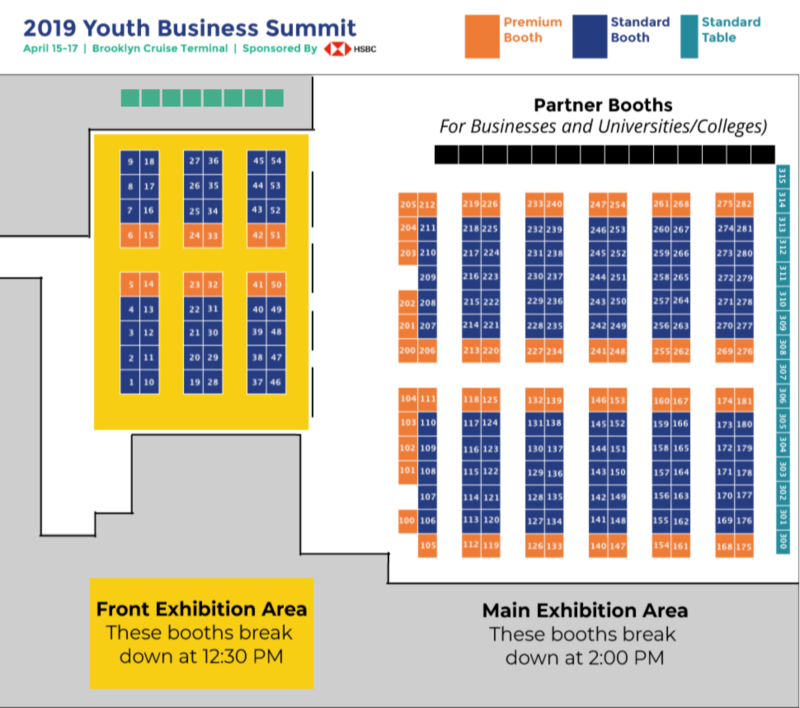 Booth registration for the 2019 YBS is now open. Payments or PO must be received by Friday, February 22, 2019. Payments and PO’s received after this date will be subject to a $100.00 USD late fee. If payment is not received by Friday, March 8, 2019, the booth reservation may be canceled and the booth will be made available to wait-listed firms. Cancellation of reservation must be received by Friday, March 8, 2019. If cancellation notice is received after March 8, 2019, the school will be responsible for the full invoice amount. We now have an online merch store available so you can order items such as pens and notebooks to help promote your firm during the International Trade Exhibition. Using the link below, you can purchase items and customize them with your firm’s branding. Important Note: Exhibitors must review the Event and Registration Overview and learn the International Trade Exhibition Guidelines. NO FOOD OR BEVERAGE MAKING APPLIANCES ARE ALLOWED IN THE BOOTHS: NO POPCORN MACHINES, NO PROPANE-BASED EQUIPMENT, NO COOKING EQUIPMENT OF ANY KIND. Any food or beverage samples that a firm plans to offer at their booth must be commercially prepackaged. No cooking is allowed in the booths. Failure to comply with these guidelines will result in your team being asked to remove prohibited items and potentially lead to disqualification from competitions. Trade Exhibition Point of Sale System is provided by VEI to firms with a trade show booth to easily process trade exhibition sales payments. This system can be used on a smart phone, iPad/tablet, or laptop with a WiFi or cellular data connection. Please email Nick Chapman at nchapman@veinternational.org if you are having difficulties logging in or need assistance. Students now have the ability to pay with their personal bank account at US trade shows. This system can be used to pay throughout the entire exhibition period. Breakfast and Lunch will be provided only for the National Business Plan Competition participants. Breakfast and Lunch will not be provided to National Finance, Human Resources, and Marketing Competition participants. Please plan accordingly. 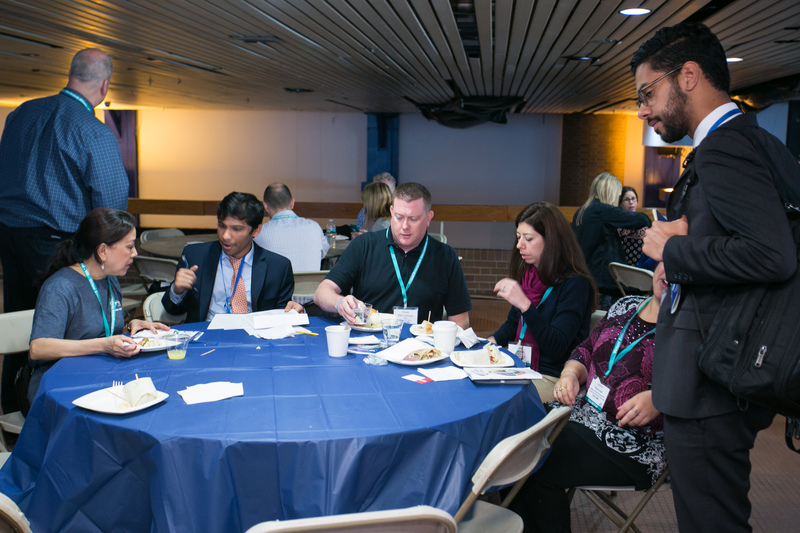 Breakfast and Lunch will be provided for Global Business Challenge participants. The #2019YBS Kickoff Party will feature food vendors offering burgers, pizza, sandwiches, and other items. If you would like to pre-order boxed lunches for your students for the International Trade Exhibition, please submit the form linked below. The price of each lunch box is $12 and includes a sandwich, chips, cookie, and bottled water. The deadline to pre-order boxed lunches is Wednesday, April 3. Alternatively, schools will be able to order food on the day of the International Trade Exhibition from vendors selling burgers, pizzas, and sandwiches. Photographers and videographers will be covering the 2019 Youth Business Summit. Please ensure your school has Photograph and Video Consent Forms filled out and on file. The 2019 YBS/Gala Event Booklet will be available for viewing and downloading prior to the events. Physical booklets will be distributed at all events. Please review the Visitor Resources page to book hotel rooms, find tourist discounts to iconic Brooklyn entertainment including entertainment, restaurants, landmarks, and other attractions, and explore travel information. 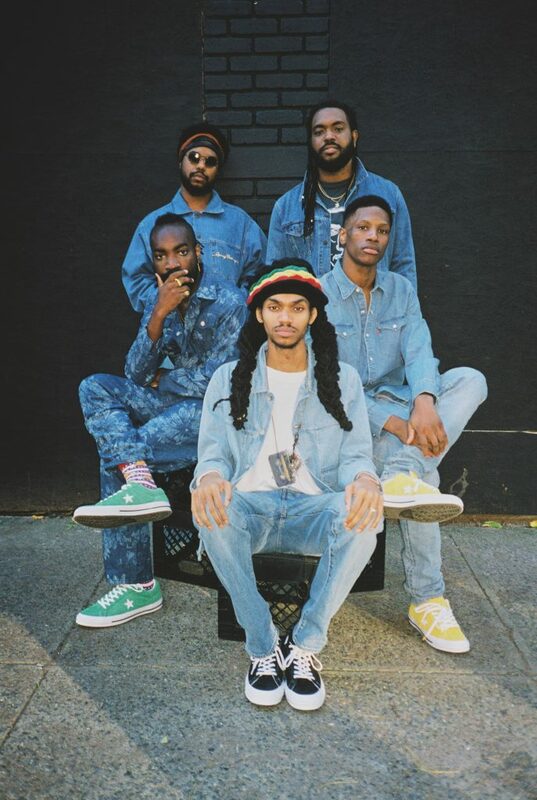 VE is hosting the #2019YBS Kickoff Party featuring special musical guest Phony Ppl (pictured left) and a Live International Fashion Show hosted by FLY NY from The High School of Fashion Industries. This will be a fun, dynamic experience and great opportunity for students to meet with peers from around the world while taking in the scenic city skyline, entertaining music, and a socially-conscious fashion show.